Gifts from the Pirates: "With confidence, you have won before you have started." Sunshine!!!! What a great Easter holiday we are having so far. I love Seth being off school and having Mrs M off for a big chunk of it has been amazing. 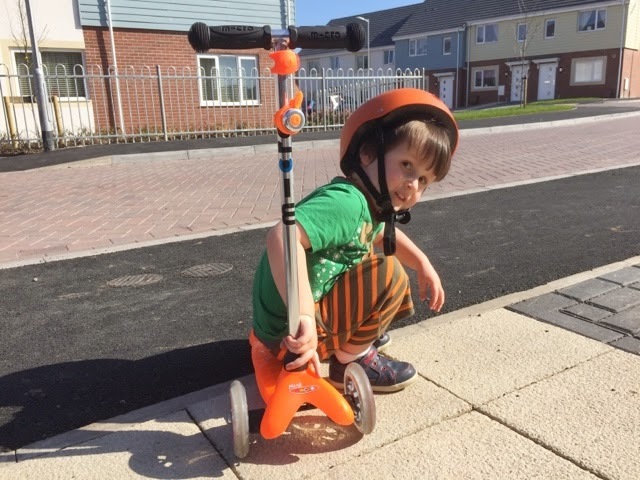 Seth has been all about his bike at the minute taking his stabilisers off and gaining that extra confidence has changed everything. I was really hoping that Opeie might follow suit so we could all go out cycling together. 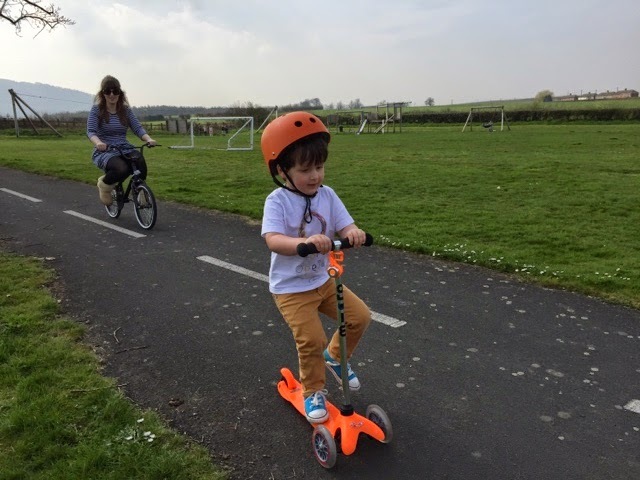 We didn't want to jump in and buy him a bike as he had never been interested in his balance bike and at his age he would grow out of a bike his size pretty quick, so wasted money if he wasn't interested. 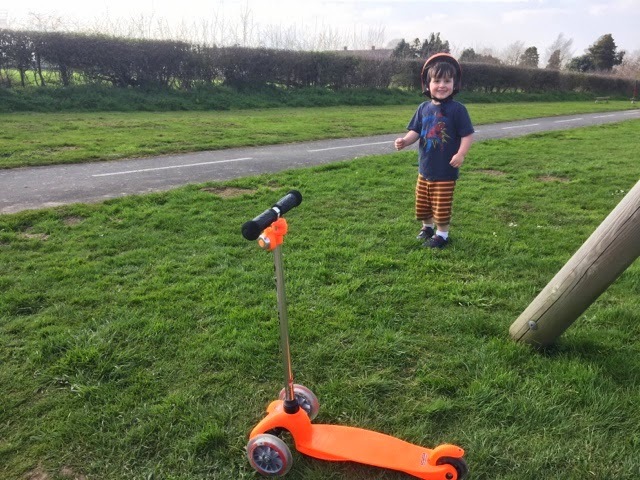 During a play date last week with Opeie's friends I was talking to my friends about bikes and my friend Lucie offered to lend us her sons bike over Easter weekend to see if Opeie was interested. Which we did, sadly though it was short lived and he made it pretty clear he wasn't interested. What was great though as he watched his brother whizzing around was that he fell in love with his micro scooter that day which he has had for some time and not been as interested as me and Seth were with ours over last summer. 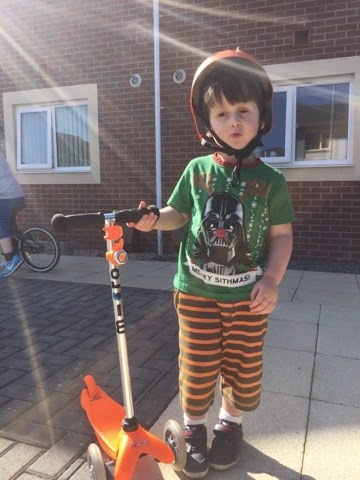 It may be that he thought 'I better start riding my scooter or daddy is going to make me go on that bike again' but whatever it was he is so much more confident now and I couldn't be happier as me and Seth had so much fun on our Micro Scooters last summer and continue to whenever the weather is nice. 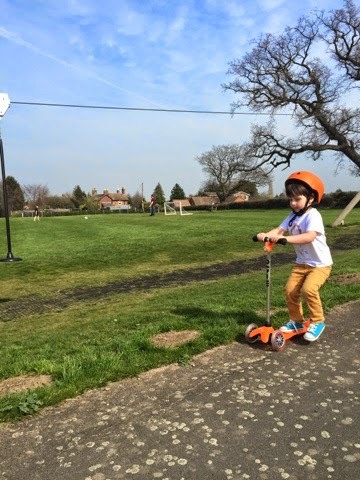 Every day since Opeie's new love of scooting started on Monday, he has asked if he can go out for a spin. We've had races and he's made up cute tricks, it's adorable. If you have read any of our other micro scooter posts you'll know how much I love mine, I've never really grown up and the scooters made our summer last year. 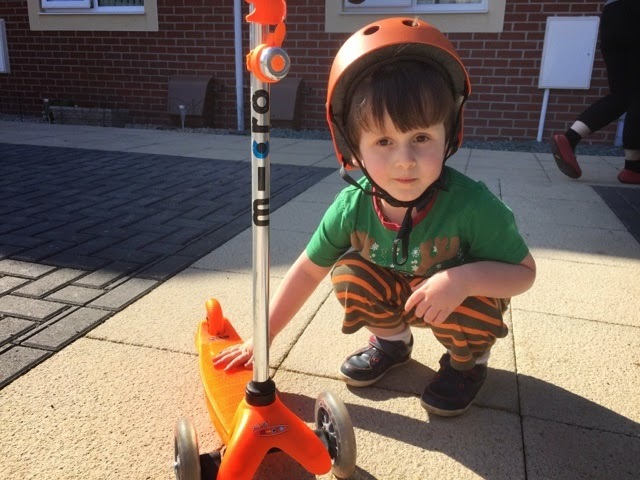 I'm so excited to have a new scooting buddy this year and we've been talking today about making our own scooting tshirs which should be fun so watch this space. 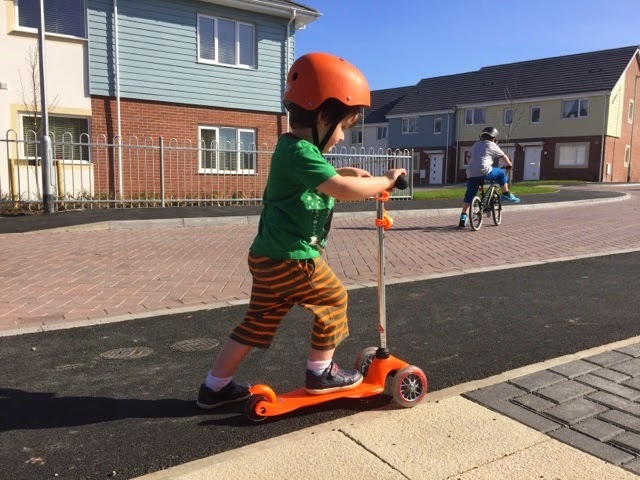 It's been many months since we last wrote about our Micro Scooting adventures after our night scooting post last year but now the sun is out and the ground is dry and safe there will be many more two wheel adventures at Gifts from the Pirates.